This story is set in 1920’s when the old Ceylon (now Sri Lanka) under the British influence and the elite society emerged from the central Colombo. There were two main characters in this story, Annalukshmi and Balendran, at different stages of their lives, both learning how to control their own lives to pursue their desires or dreams due to the cultural expectations or restrictions of their time. Annalukshmi wants to pursue teaching but women are not allowed to pursue both a career and be married at the same time. Her uncle Balendran, respectably married, struggles to suppress his secret desire for men. Both Annalukshmi and Balendran are faced with strong opposition to the lifestyle and freedoms they want, and handle it in slightly different ways. When Annalukshmi’s parents is intent upon arranging a proper marriage for her, forcing her to decide what path she will take, for she cannot have marriage and a career. Balendran who is respectably married, struggles to suppress his secret desire for men. The sudden arrival of his former lover, however, threatens his loyalty to his wife and obedience to his father. Both uncle and niece must determine if it is possible to pursue personal happiness without compromising the happiness of others. Since I grew up in a multicultural environment, I knew a few things about Indian culture but I never expect there were so many similarities between Sri Lanka and India. Surprisingly, arranged marriage which told in this story (set in 1920s) still exists in Indian culture. Gay relationship which seen as a humiliation to the family is still happening in most parts of the world as well. The storytelling was good and very realistic. I really can feel the struggles experienced by both characters and you can feel the pain of LGBT people as the author delve into their lives in a more detailed manner. If homosexual people experiencing so much of disapprovals in the modern world, I don’t dare to imagine how devastating their struggles during that time. 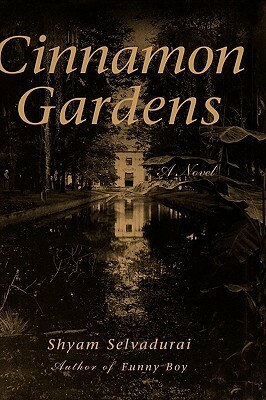 More reviews can be found on Goodreads: Cinnamon Gardens.